Festival of Voices - Well done to our choir, orchestra, school rhythm section and ukulele players for their performance on Tuesday night. Well done to our rhythm section who also accompanied all the adults in the massed item at the end! If you missed the performance, you can hear our choir next Tuesday at St Margaret's performing as part of the Voices Festival. 7pm. They will be performing alongside high school contemporary choirs. 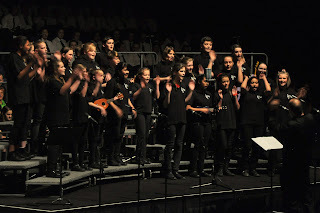 Strum Strike and Blow - Well done to our 70 Chisnallwood ukulele, marimba and recorder students who performed amongst 1000 students from 35 schools last night. Tonight: BandQuest at Chisnallwood 7pm-9pm $10 ticket at the door (free for band members). 6 bands from Chisnallwood bands, Genuine Fakes, Electric Twitch, Static Movement, Catch Phrase. 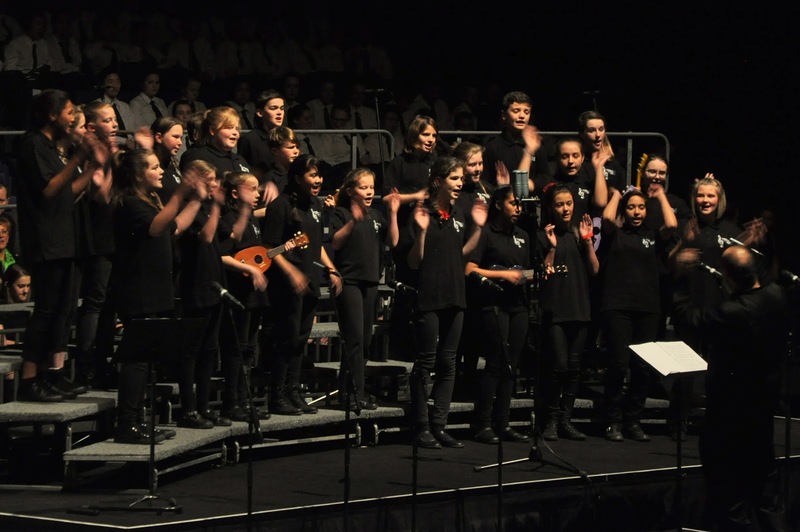 Cosmic Latte and Automatic will perform along with other primary school bands from schools such as Waitakiri, Prebbleton, Opawa, Kaiapoi North. AFRICAN DJEMBE DRUMMING group starts Friday (tomorrow) lunchtime. $5 week. Signup out the music office or online here. The group will be taken by Nicho Greig. Three great concerts this week!